UMP | University of Minnesota Press Blog: On global science fiction cinema and environmental catastrophe. On global science fiction cinema and environmental catastrophe. Last week, Beijing resembled an apocalyptic scene from a science fiction film. Shrouded in thick smog, China’s capital city came to a standstill. For the first time since instituting a color-coded emergency response system in 2013, the government issued a red alert, its highest air-pollution warning level. Schools and factories were closed, motor traffic was restricted, and subways sounded warning broadcasts that resembled bombing raid alerts. Meanwhile, representatives of 195 nations gathered in Paris for the United Nations Conference on Climate Change to forge a new international agreement limiting global warming, with the objective of preventing serious climate-related catastrophes. After decades of failed talks, tensions ran high, discussions centering around the question of the respective roles of developed and developing nations, terms that reflect an understanding of the globe that is itself shifting dramatically each year. In what UN Secretary General Ban Ki-moon has deemed “truly a historic moment,” the summit concluded with an unprecedented consensus that nearly every country, whether developed or developing, would make an effort to reduce greenhouse gas emissions, thereby helping to lessen the effects of climate change. Science fiction (SF) cinema has much to contribute to broader debates on the future of the planet. Ecological devastation is a mainstay in contemporary SF around the world. From the dusty California of Neill Blomkamp’s Elysium to the unnamed East African country devoid of life in the festival hit Pumzi, such films suggest how the genre is uniquely poised to speak to urgent environmental concerns. Scarcity of natural resources (water, air, food) has been a particularly prevalent topic for current SF cinema. These films imagine life evacuated of these resources in the near future — producing built, lived-in dystopias that contain, at their most critical, possibilities for counternarratives of hope. Indeed, perhaps more than any other genre, SF is deeply intertwined with globalization and its discontents, but also for the possibility of utopias, in particular small-scale or fragile ones. Pumzi, the 2009 Kenyan science fiction short film directed by Wanuri Kahiu, takes place in a dystopian future thirty-five years after World War III, known as the “Water War.” The global fight for water has resulted in its shortage, making the land uninhabitable and forcing the world’s inhabitants to retreat underground. In an East African subterranean community ruled by a totalitarian regime, survivors live in closely monitored sealed compounds, recycle their own urine, and collect sweat from their own bodies. The film follows one woman’s attempt to explore the possibility of once again growing life on the outside. In so doing, it simultaneously invokes the ways in which Africa has continually served as a “reservoir” of primary resources for the Global North (and, increasingly, China) and how Africa is an origin point for the anthropocene — the beginning of human life. Pumzi stages this “return to the source” narrative through a fragile seedling, in stark contrast to global melodramas where Africa is saved by Euro-American do-gooders. Alex Rivera’s Spanish-language film Sleep Dealer (2008) also imagines an impending global water crisis. Set in a futuristic Mexico where water is controlled by a multinational corporation via a heavily monitored dam, residents must now pay money to collect the water from their own communities. Like Pumzi, the film has a broad canvas in mind: alluding to the water struggles of 21st-century Bolivia, it also suggests the pillaging of resources in colonial Latin America. At its core, it critiques the economic exploitation of natural and human resources linked to NAFTA and the xenophobia that is its collateral damage (“Mexican labor without the Mexicans!”). This connection is prescient, for the current United Nations Conference on Climate Change has added the global refugee crisis, along with water scarcity, to its list of the devastating effects of climate change. Water also plays a significant role in Bong Joon-ho’s 2006 film The Host. In this case, however, it’s not about its scarcity, but rather its contamination. An American military officer orders his Korean subordinate to dump formaldehyde down a drain that runs into the Han River, leading to the creation of an aquatic monster who also is the host of a lethal virus. The monster calls to mind radioactive mutant creatures from 1950s monster films (most notably, Godzilla, which was inspired by the American testing of nuclear weapons near a Japanese fishing vessel), and the film could be interpreted as a criticism of the U.S. military presence in South Korea, a reflection on viruses such as SARS and avian flu that plagued East Asia in the first decade of the new millennium, and ultimately a cautionary tale on illegal dumping. The film takes on additional relevance in the wake of the 2011 Fukushima nuclear disaster, whose effects continue to resonate throughout the world. 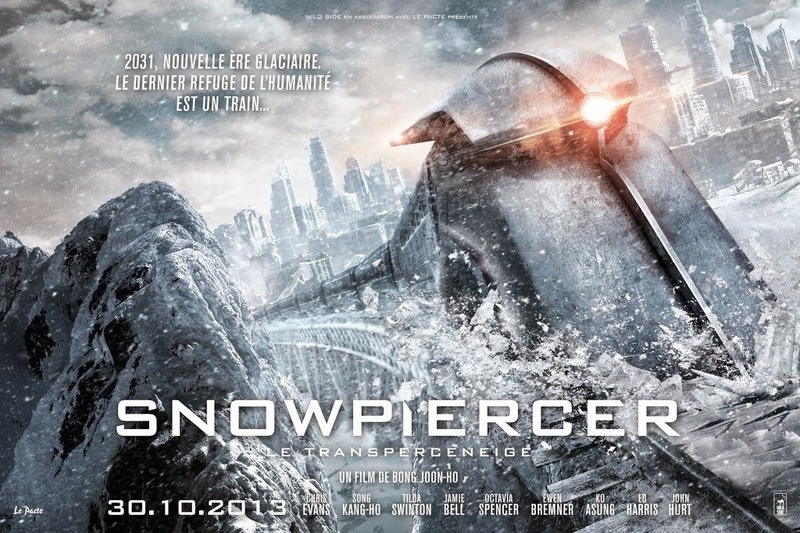 In Bong’s most recent film, his English-language debut Snowpiercer (2014), an attempt to halt global warming through climate engineering backfires, resulting in a new ice age. Based on the post-apocalyptic French graphic novel Le Transperceneige, most of the film takes place within a sealed ecosystem, in this case the Snowpiercer train, which is the brainchild of a billionaire who builds the train to save the last vestiges of humanity, a motley group compartmentalized by class. While the 1% at the front feast on sushi and indulge in spa treatments, the majority of the passengers are kept at the back, where they are fed protein blocks made from insects and forced to labor to keep the train running. A globally diverse production — shot at a Czech production studio, with a Korean director, an American scriptwriter, a team of mostly Korean producers (including renowned auteur Park Chan-wook), and a cast featuring actors from the U.S., Korea, England, Scotland, Canada, Romania, and Bosnia and Herzegovina — the film tackles issues of global warming, labor, and food shortages. Just as Pumzi ends with the promise of a tree able to grow above ground, Snowpiercer also concludes with the possibility of life existing outside, as two of the younger characters make it off of the train, where they spot a polar bear. In each film, the careful construction of a local world in scarcity paves way for errant tactics: modes of grappling with the seemingly overwhelming nature of environmental disaster. At the same time, each film is itself a global object, if we consider not only the use of transnational co-productions but also the ways in which the films are circulated and distributed. While SF cinema has long been associated with large-budget U.S. (and, to a lesser extent, Western European) productions — as showcased by the centrality of costly special effects for the genre — these contemporary examples suggest that some of the most trenchant critiques may be found outside of this circuit. In this way, global SF is a unique window into the difficult challenge to think globally during what might be deemed the twilight of the anthropocene. 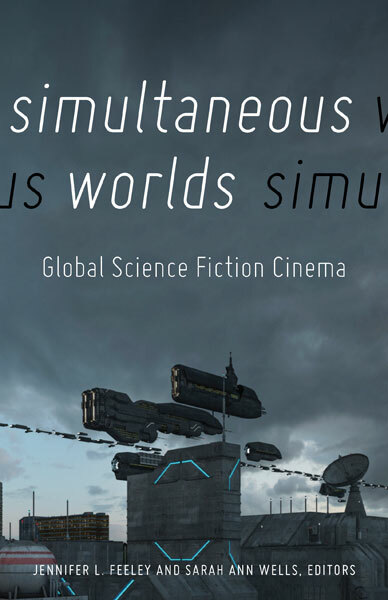 Jennifer Feeley and Sarah Ann Wells are editors of Simultaneous Worlds: Global Science Fiction Cinema. Feeley is an independent scholar and translator. Wells is assistant professor of comparative literature at University of Wisconsin-Madison. "Jennifer L. Feeley and Sarah Ann Wells have done a marvelous job of bringing together established scholars with emerging voices to create a unique critical collection on global science fiction cinema, which they show is neither an impossible dream nor an artificial unity, but rather a major way to think about science fiction cinema in the new millennium." Recipe spectacular: Memories of Potica.